It’s October which means I’m eating a ton of candy corn (my all-time favorite candy, though I eat enough of it in October to satisfy my craving for a year. yes. I often feel sick from eating so much of the yellow ‘n orange meanies but I can’t stop!). 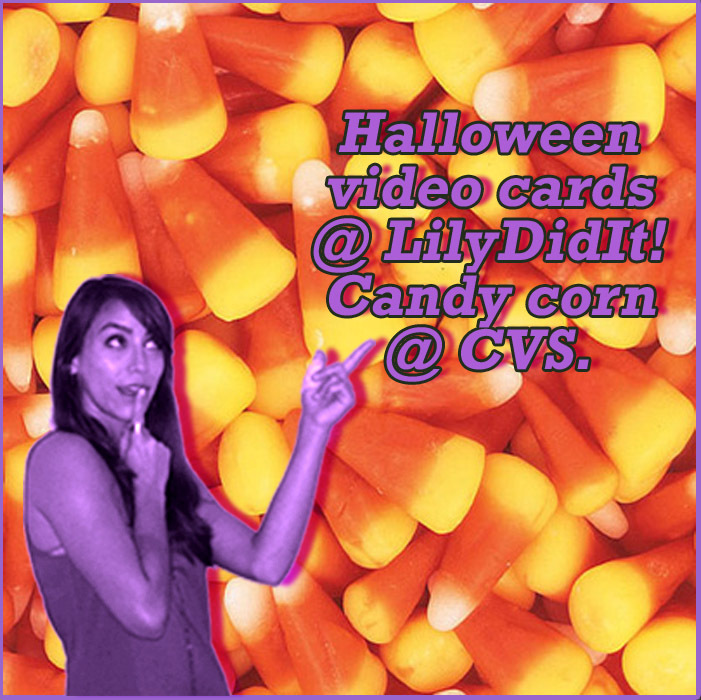 October also means LilyDidIt is celebrating Halloween. Our ghoulishy good Halloween videos are available and to send to all the witches and monsters you call friends. I think my favorite is Fright Stuff. This entry was posted on October 15, 2009 at 11:05 am and is filed under LilyDidIt. You can follow any responses to this entry through the RSS 2.0 feed. You can leave a response, or trackback from your own site.